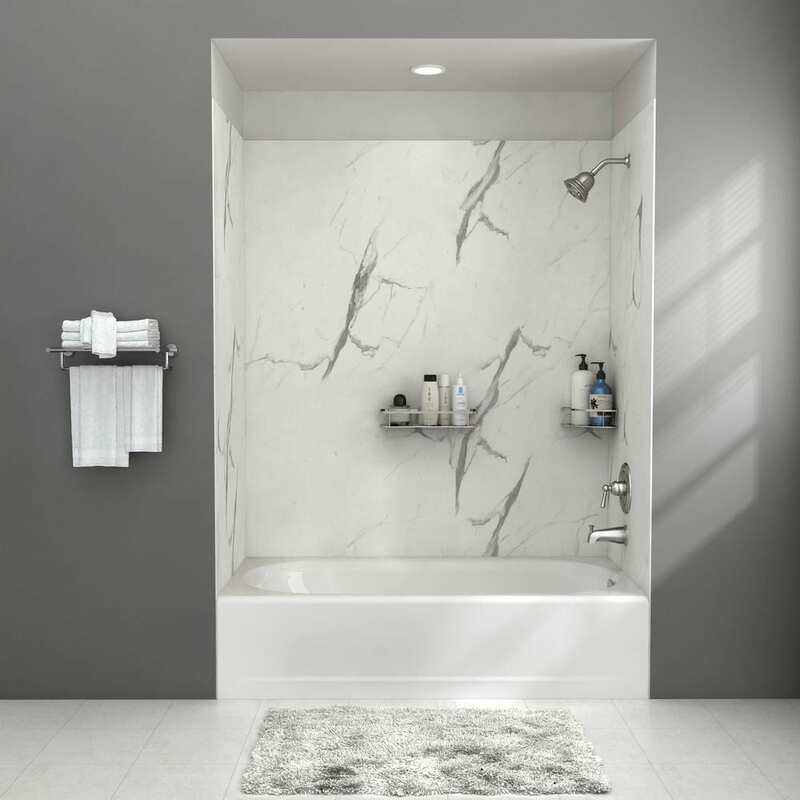 Full bathroom renovation plans with solutions for maximizing space, creating function for kids, and creating a classic luxury style for less. This post is written in partnership with American Standard. Full disclosure here. 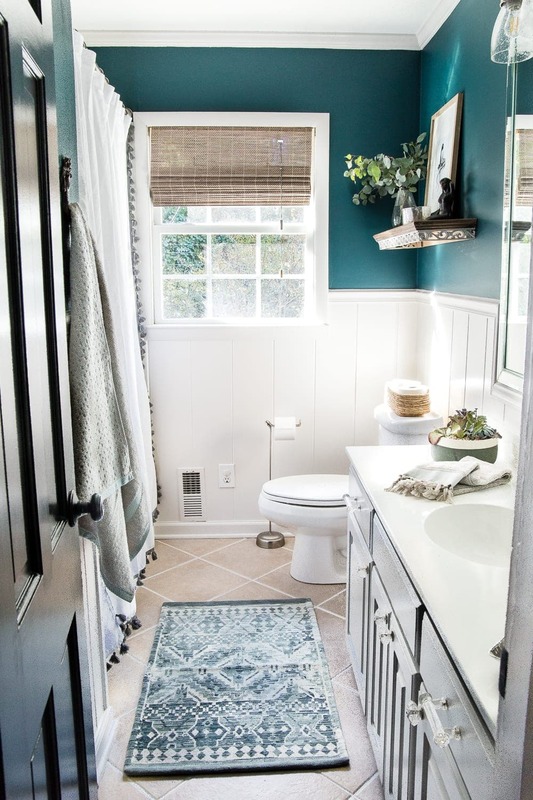 Apparently, just like when 2018 had a theme of kids’ rooms in the way of the playroom, Olivia’s bedroom, and the nursery makeovers, 2019 is shaping up to be the year of the bathrooms. We are kicking off our first massive room gut and full renovation this spring in partnership with American Standard. Excited is an understatement! And even though this space will also technically be for the kids, it’s feeling more like mommy’s design playground right now. Of course, Robert and I can never start a project without fully spilling out our big plans to y’all. BUT that Phase 1 was really just a means to an end in order to hold us over for the full reno. Painting the walls, the existing 80s shower/tub/countertop, and the old tile grout can only go so far. The important thing we wanted to remember about this space was making it versatile in looks but kid-friendly in function. 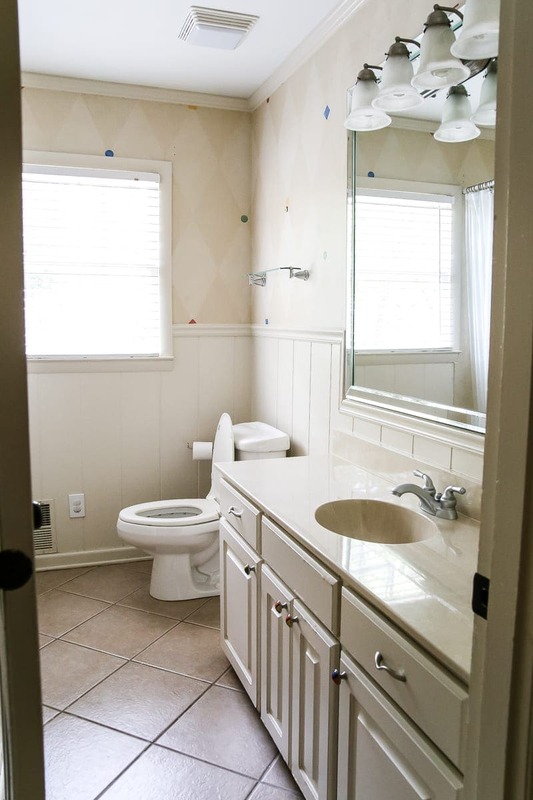 Even though this bathroom will be mostly for Regan and Olivia, we knew guests would be using it on occasion. 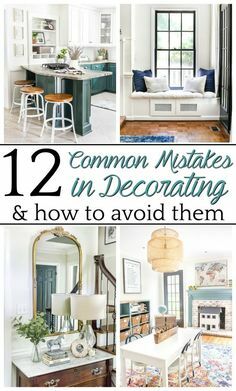 And in the interest of our house’s potential resale and staying true to the classic design of our colonial home, we’re opting for lots of timeless features. It’s a little bit retro, a little bit traditional, and a little girly all rolled together. Immediately, when I think of “classic”, I think of marble. So this marble style surround from American Standard’s Passage Collection spurred on this whole huge design plan for replacing the old beige surround with its current makeshift paint job. I love that it has the look of marble without the high maintenance and risk of staining the real stuff. That way the kids can be as messy as they want with shower crayons and bath bombs; keeping it clean will be easy. 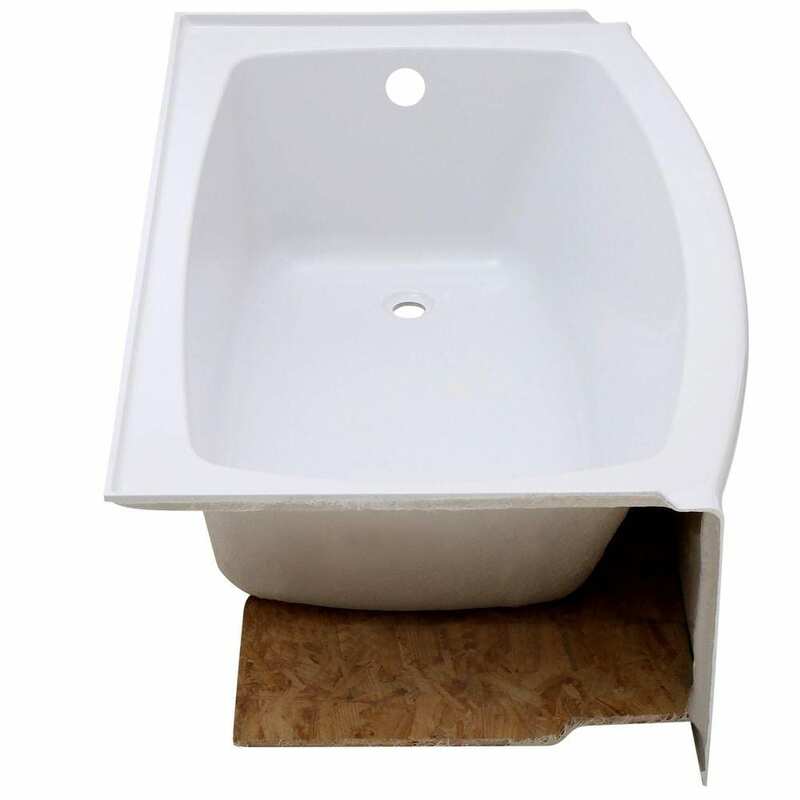 We’ll be swapping out the dated tub for the American Standard Ovation so that we still get the depth and comfort of a soaking tub without having to sacrifice a lot of space in our narrow bathroom. And we’ve never turned on those jets for fear of what might be growing inside of them. Bleck! And since this bathroom is SO narrow and has absolutely no room for most regular sized sinks or vanities, we’ll be ripping out the old original vanity from 1960 to replace it with two smaller American Standard Morning vessel sinks sitting on top of an open vanity table. 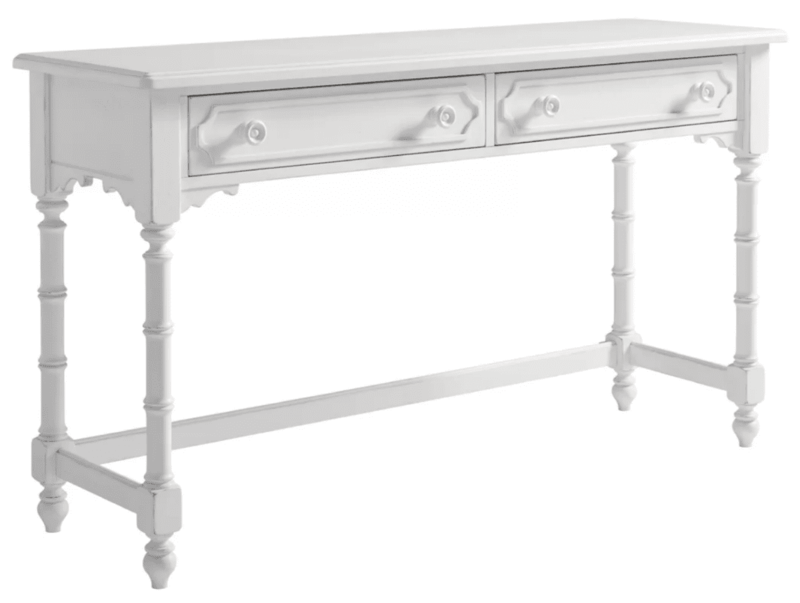 I’m thinking this console table would be so cute converted into a vanity. It’s just girly enough, is the perfect size, and has great detail with a nod to traditional. That way, each girl gets her own sink (in preparation for those future sibling sharing spats), and a vanity table makes the space feel more open while leaving room for step stools. 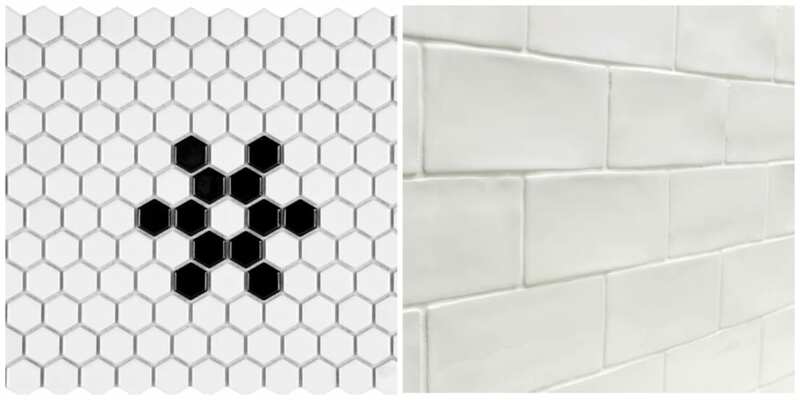 For the rest of the space, we’ll be sticking to a simple black and white color scheme by using vintage style hexagon floors. Olivia picked out the flower pattern herself, and I’m totally not surprised by her choice. And for halfway up the walls, we’ll be installing wavy white subway tiles. I love how it catches the light for a shimmery effect yet still has the look of handmade antique. To soften the harsh lines of the tile, we’ll be using these curvy, more feminine style sink faucets from the American Standard Quentin line. The brushed nickel will also be easy to keep clean. And the shower/tub will have a brushed nickel American Standard Chatfield trim kit. What we love most about all of the upgrades is that everything will be WaterSense certified, which saves more water than the standard flow rate. So even though the girls will likely leave the sinks and shower running longer than they should, we’ll be conserving more water and saving on our utility bill. 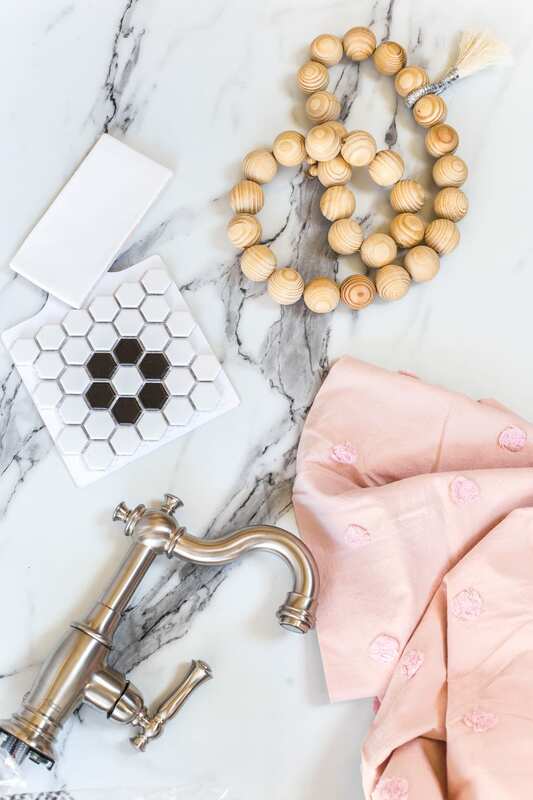 For the rest of the space, we’ll be adding some girly details like a peachy, blush pink bath mat and shower curtain that will be easy to change out as the girls grow. And we’ll use a pair of feminine looking beaded mirrors with sconces on either side. I cannot wait to see how this all comes together! I’m so glad that we’ll be making this a space that is functional and will remain beautiful for many, many years to come. This upgrade will surely give us the most bang for our buck. What do you think so far? Do we have a winner? More details coming hopefully soon! Love it Lauren, as usual. One piece of advice from experience with vessel sinks in the bathroom, make sure you get the kind with an overflow (then make sure your faucet/drain kit are also for the kind with an overflow). The sinks without the overflow can drain REALLY slow. Also, with little ones especially girls (that probably will have a lot of hair :), I would suggest the grate style drain. It definitely cuts down on clogs. Good luck! I just did a complete remodel on our bathroom using vessel sinks without an overflow. You can add a mechanical air vent to the plumbing so that the drains will empty quickly, however, if the base cabinet will have exposed plumbing then this might not be an option. Beautiful! 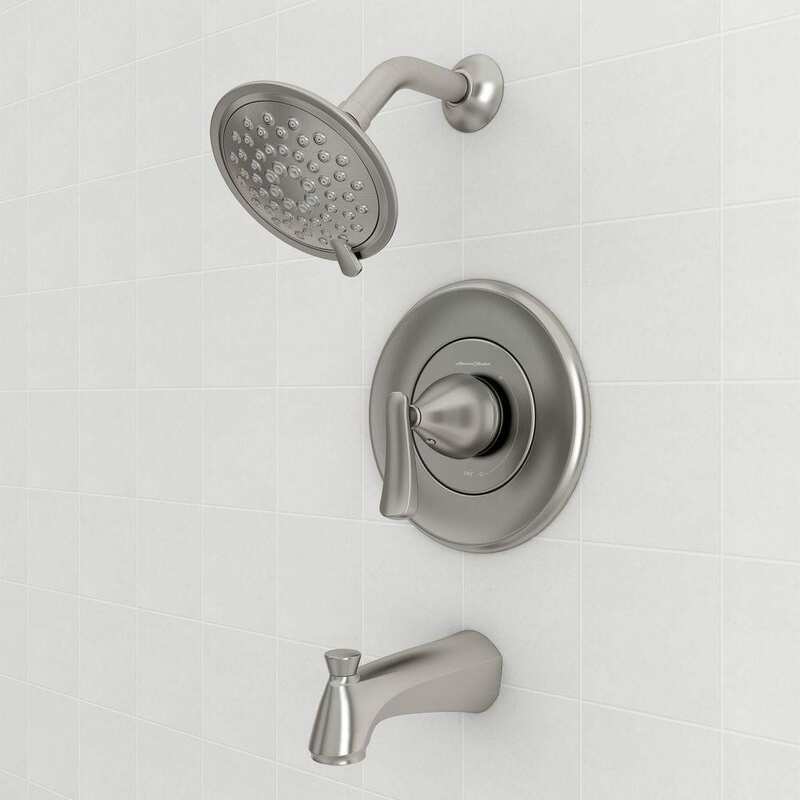 Have you considered a shower head that includes a hand-held as well as a fixed head? Hand- held is so convenient for bathing little ones and cleaning the tub! I love the morning vessel sink you chose but can’t understand how you are going to use the curvy vessle faucet you chose with it. This sink has an faucet opening built into the sink itself. 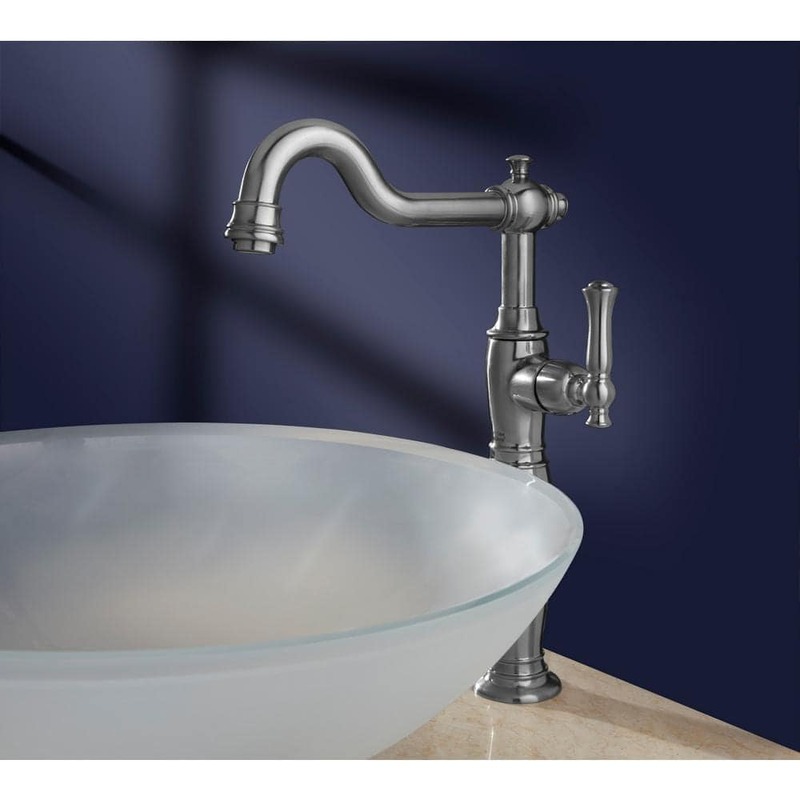 Unless the faucet you chose can be disassembled allowing you to use just the top half of it, it will be too high once you put the whole thing on top of the vessel sink. I also chose a vessel sink with the built in faucet hole but ended up switching to a different vessel sink (without the built in hole) so that I could use the vessel faucet I fell in love with. If you switch the sink be sure you have enough countertop depth to accomodate the sink AND the faucet sitting outside of the sink. If it is not deep enough, you could opt to move the faucet, and the cooresponding hole in the countertop, to the side of the vessel sink. I can’t wait to see what you decide. There are two versions of that faucet, so we’re using the version that is shorter and meant for single-hole sinks, rather than the version that attaches to the countertop. So we’re good there. 🙂 Thank you for looking out for us! Space is tight, so this particular sink solved a lot of those issues for us. 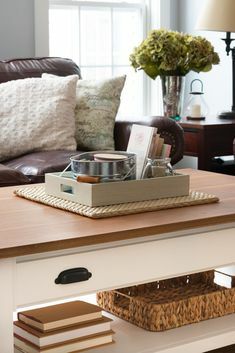 very pretty plan, but I think you will want more storage than what that console table will provide and the plumbing will be noticeable which is just another thing to clean too. 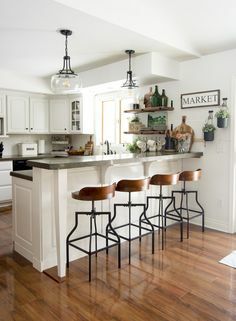 Step stools are a very short phase but STORAGE is always a need! 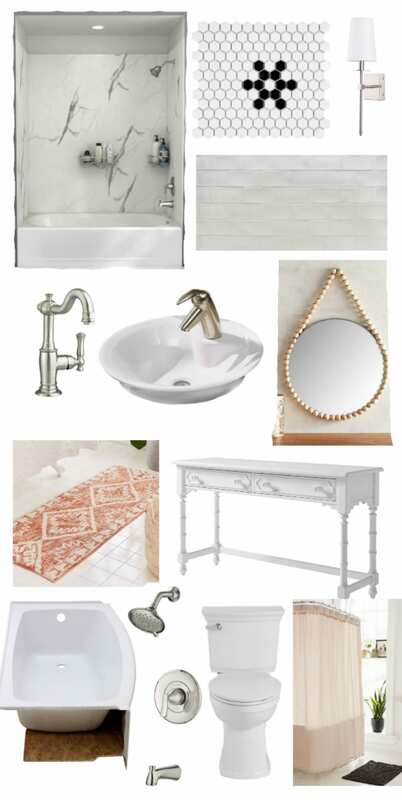 I love the look of vessel sinks but I think they are best suited for a powder room. Deeper sinks that you can use to wash items or rinse your hair are more useful in a kid’s bathroom and I found this out from experience in my own home. I love those mirrors in your plan and that pretty rug! But what about makeup and hair products/tools when the girls get bigger? You’re losing counter space with the vessel sinks too. Don’t know how long you plan to be on this home, but just a thought for resale too. We’ll still be able to keep the drawers in the console table functional by only having to cut out the back to make room for the plumbing, so the good news is, they’ll still have drawer space for makeup, toothpaste, hair brushes, etc. 🙂 It should be JUST enough storage without taking up all of the space with cabinets. Love most everything, but I would be concerned about children using a vessel sink — especially one that is sitting on top of a wooden vanity table. I make a mess myself sometimes in a traditional sink. I can’t tell if the light fixture has a cloth shade but if it does, I would try to find something with glass or metal instead. I know you are excited. One thing a friend of mine pointed out to me when she had a vessel sink installed in her guest bath was that her handyman made sure the faucet (which was separate from the bowl) was installed so that it extended far enough over the bowl to send the water toward the middle of the bowl rather than toward the back where it could easily splash over. The photo with your faucet choice looks good. I would have some of the same concerns others expressed about vessel sinks but you’ve explained and addressed those concerns and I’m sure it will work out fine. I can see it completed in my mind and look forward to seeing it for real! So pretty. 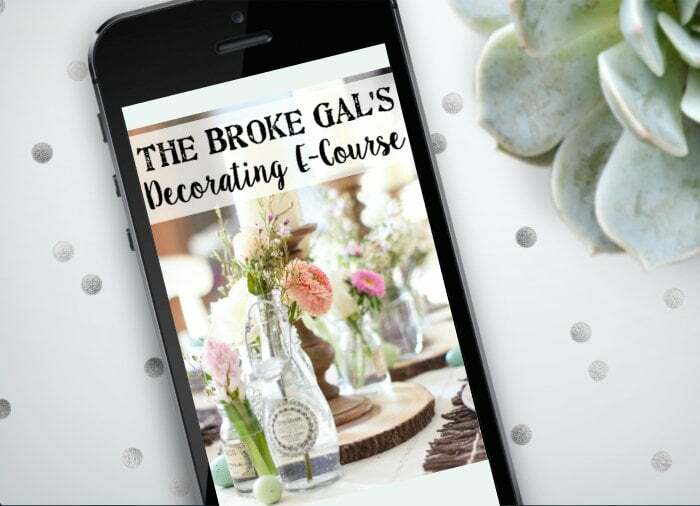 I love to see all the gorgeous ideas you come up with! You know you’re old because you know what spirit fingers are. That said growing up in a house with 4 girls, 3 that shared a bathroom, as cute as that vanity is, there is no room for make up, hair dryers, hair ties, 50 different lotions and facial cleansers etc… As we get older we get more stuff to beautify so much stuff and no sisters don’t share we fight over it. I guess I’m one who is worried that over the years you are going to wish you had used a vanity that has at least more drawers for blow dryers…teen girls make up etc. 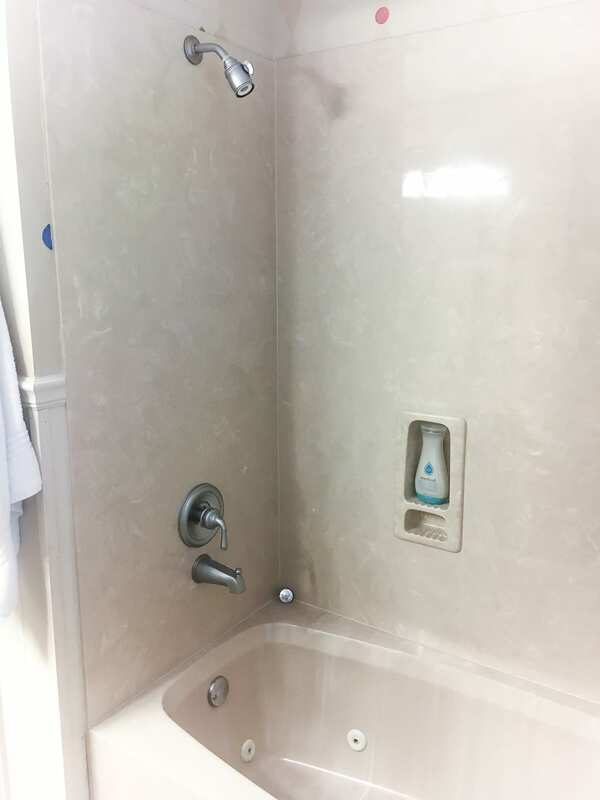 Have you checked into 18″ depth vanities? They are available. I’m also thinking of resale. The other thing is… undermounted sinks give more counter space. I’m excited to see the finished room! It’s interesting how so many people are “worried” about your choices. I know you’ve thought through every possible scenario since this isn’t your first remodel rodeo! Wow! This bathroom for your girls is going to be so beautiful! Love all your choices. 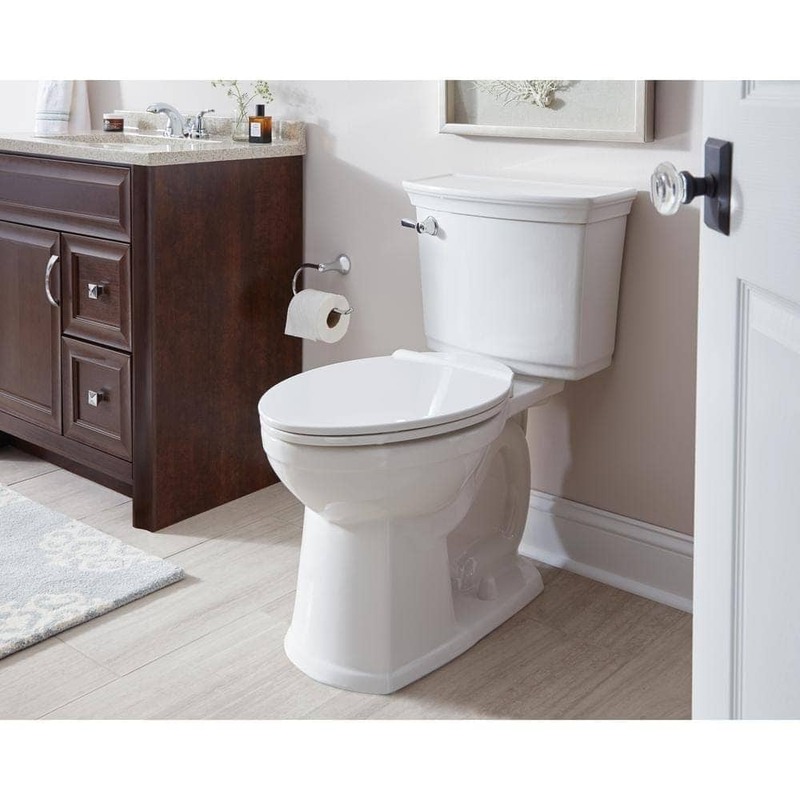 The vessel sinks will be perfect and that self-cleaning toilet will be great! 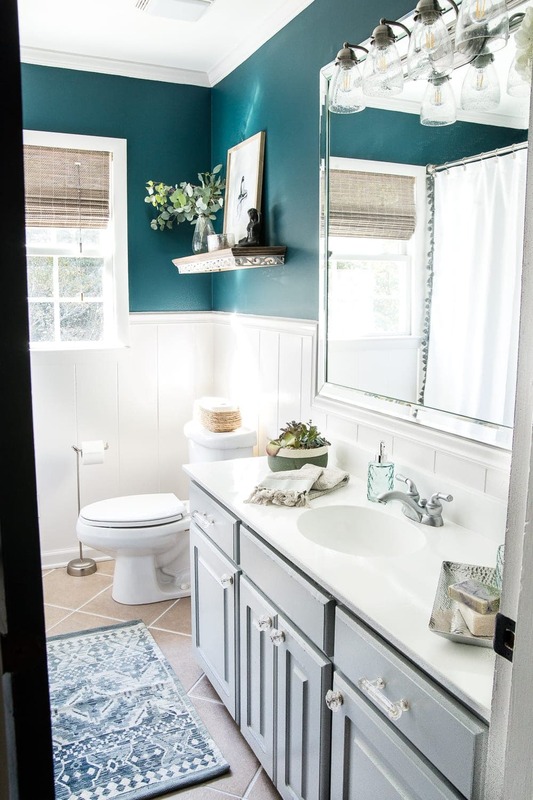 I bet you can hardly wait to get this bathroom all finished! There’s lots of work but oh how nice this will be for your girls once everything is done! Have a great weekend! A sink takes up counter space whether it is on top or set into the counter. All the same! Love the vanity. You could always top it with solid surface if worried about water. 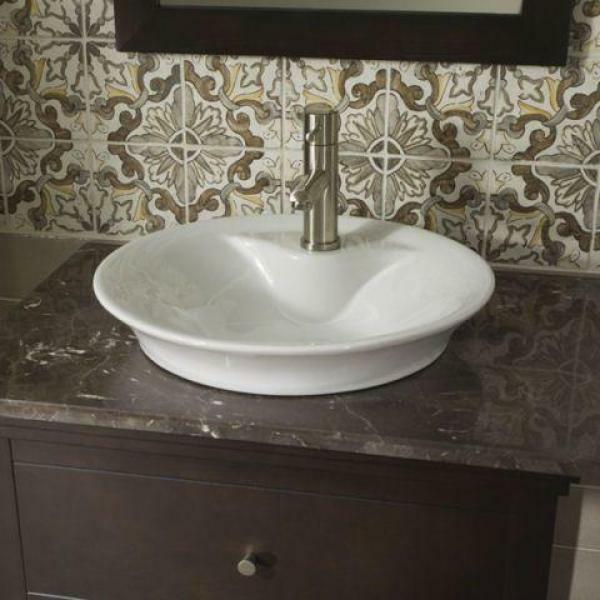 We have one in our vacation home and it is pretty and easy to care for on the solid surface countertop. Janice…as a kitchen and bath designer, I will tell you that you must deduct the vessel sink edge overhang from usable counter space. This can add up to many usable inches. Wow! Who knew so many ladies had such strong opinions about bathroom drawers, vanities and vessel sinks! LOL. I for one love your plans! I for one cannot wait to have a jetted tub. But to each their own! I love the ideas, but I would strongly recommend seeing if there are any other vanity options. As a mother of three young girls, storage is constantly a problem, even when you think you have enough, you need more! Love the marble and the mirror choice! Tracy, Thank you!! The suggestions are greatly appreciated. We will most likely stick with the one that I have shown. The linen closet will have to be enough for storage. I will have to teach the girls to be minimalists. LOL. We chose more space over added storage so it does not get too crowded. !!! Getting two sinks for the space will be nice too. I like how you can have stools. Happy renovating!!! When I moved into the dorm my freshman year of undergraduate school, I had a small ‘bucket’ with my shower supplies that I took with me to the shared bathroom. (Yes, I am that old.) Never thought anything of it. 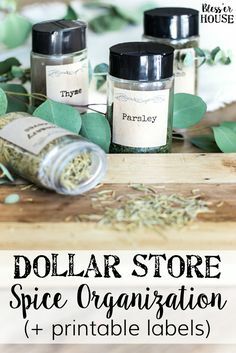 I can see your girls as teenagers having a similar system that is stored in the linen closet and brought out when they are using the products. 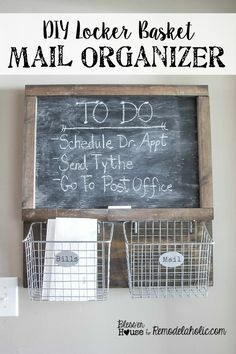 Actually I still do some of that today, keeping my medications in a basket in the linen cabinet and pulling the basket out twice a day. I love the subway tiles with the waves and what they will do with light. Never knew there was such a thing until I read this post. Thanks for your continuing ideas! Love your choices. It is quite obvious that you have everything planned out for now and the future. I especially like the choices for the toilet, the bathtub faucets, etc. You are so talented. 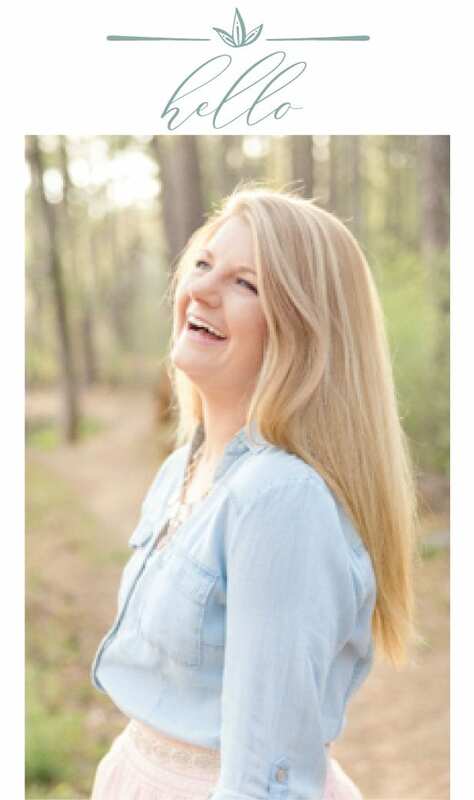 I happened on your blog just a few months ago and have enjoyed seeing your creativity come to life in all you do. Have fun renovating. Like the others, I can’t wait to see the “reveal”! 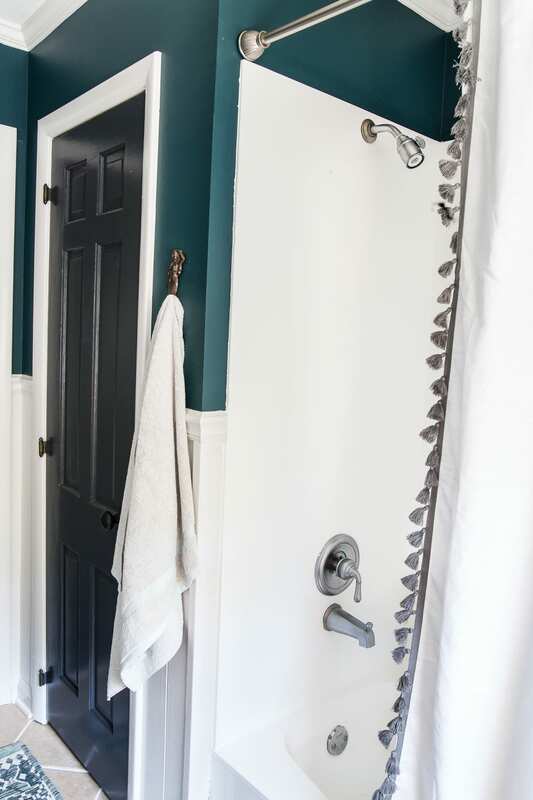 Your choices are beautiful, and I know you have two girls, but if you intend to move in the near future, I would make the permanent features (vanity, faucets, etc) a more gender neutral and not so too feminine. As the mother of two boys, I can’t imagine my boys in a bathroom with girly details. (Not an issue if you intend to stay in this house a long time.) Something to think about when selling your home down the line. Love your choices, BUT don’t you think you’re going to miss the storage that drawers in that vanity will provide? I know I would. So pretty! Your girls will love his. Do you mind sharing the source for the console? It would be perfect in my foyer. Something near the top of my wishlist is a great soaking tub that doesn’t overwhelm our bathroom. I’d love to hear how the tub you picked works out for you once you’ve been able to put it to use!